People have asked me, do you like red wine or white wine? Why must we divide ourselves into two factions? Why is there a red wine vs white wine debate? I understand that there are some people who do prefer one over the other. I, myself, like both and will drink wine based on various things, mood, weather, mood, cravings, mood, meals,…did I say mood? Sometimes, I’m in a white wine mood. I want something light, cool, and fruity. Other times I’m in a red wine mood. I want something rich, warm, and full of berries. Or I’m having a really good piece of dark chocolate and I want something that pairs well with that. I do have a tendency to drink more white wine in the summer and red wine in the winter. People who are in the red versus white faction, have you tried a wine from the other party? I understand if it just doesn’t agree with you. Some people can’t drink certain wines because of allergies. But, if that isn’t the case, don’t be afraid to try something. If white isn’t your thing, maybe you just haven’t tried the one that fits your tastes. My sister is not a fan of chardonnay because it’s too buttery, but does enjoy the lighter whites like pinot grigio and sauvignon blanc. If you just can’t handle the reds, stay away from cabs. They tend to be beefy and robust. Try something on the lighter end of the spectrum like a pinot noir or primitivo. What about you? 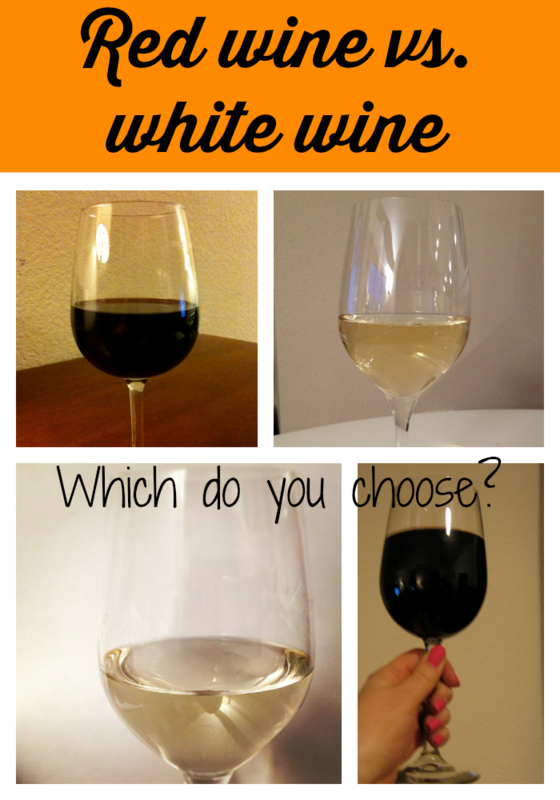 Do you have a preference or are you a mood drinker like me? This entry was posted in Wine and tagged red wine, white wine on May 28, 2014 by Amy Ruiz Fritz.